Those who know me, know that I don’t drink often, but when I do, whiskey is my go-to drink. My love for the mellow taste of Jack Daniel’s Sour Mash Whiskey is only amplified since Hall or Nothing Designs has relocated to East Tennessee. In my perpetual search for unique fonts, I stumbled across a project brief that combines my appreciation for the Tennessee whiskey and my affection for beautifully crafted typography. 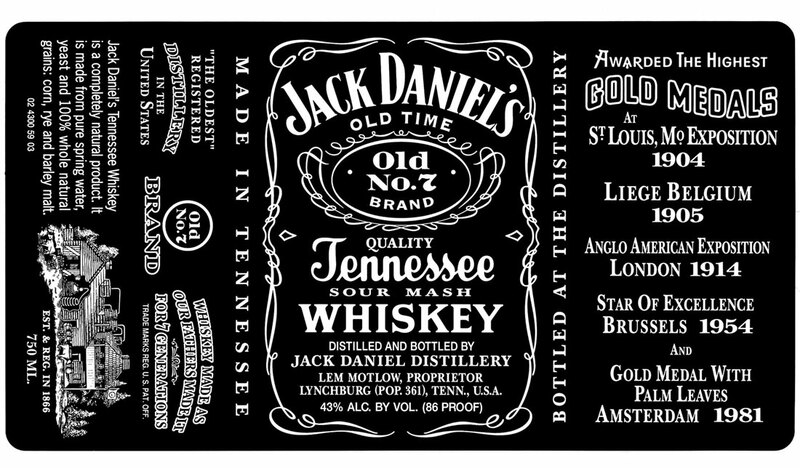 Arnold Worldwide, the agency of record for Jack Daniel’s Distillery, has developed the three lettering styles on the famous 1904 Black Label into complete fonts. Top and center is the Jasper font, based on the familiar Jack Daniel’s logo lettering (and bearing Jack Daniel’s given first name). The real visual centerpiece is the refined yet approachable Lynchburg Script, based on the Tennessee lettering in the label. Rounding out the set is the solid, industrious typeface named for Lem Motlow, the nephew of Jack Daniel who managed and later inherited the Distillery. Now the challenge will be to locate the fonts for download, but I imagine the agency is going to keep these iconic brand elements locked up tight.